Scene It? 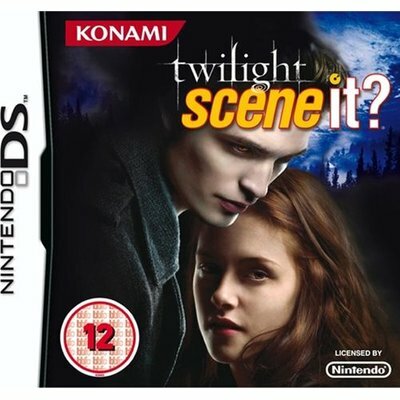 - Twilight brings the immense universe to your living room, and tests your knowledge and wits! Trivia and Twilight fans alike will love the hours of fun as you challenge friends and family to see whose Twilight knowledge reigns supreme. Scene It? - Twilight features all-new questions, movie clips and several challenging puzzle types, giving you a trivia game overflowing with images as well as audio and video clips from the world you know and love.